Thanks for dropping in on our website. Every year our membership grows so why not join us TODAY! Founded in 1963 by Ray Mackender and Gerald Glover, the Society, a registered charity, is for everyone who is a fan of Music Hall and Variety. The Society has all sorts of events, shows and talks as well as a Celebrity Lunch and an Annual Ball. It publishes a 36 page magazine, The Call Boy, a ‘bible’ of music hall and variety topics, four times a year and has extensive archives of costumes, posters, programmes, playbills, photographs, sound recordings and memorabilia of many of the great artistes. 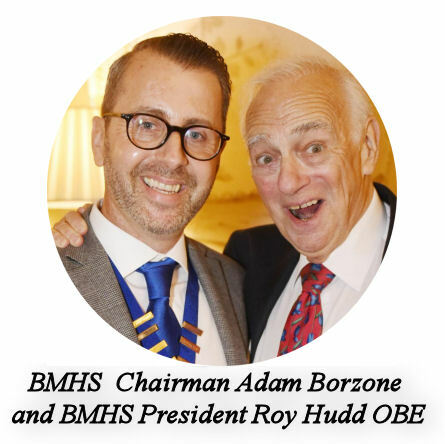 If you are interested in entertainment past and present, why not join the hundreds of people worldwide who are already members of this enthusiastic society.